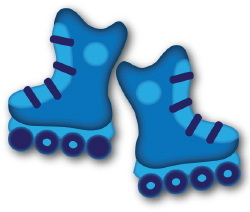 Clip art of a pair of blue inline skates ready for a skate through the park. 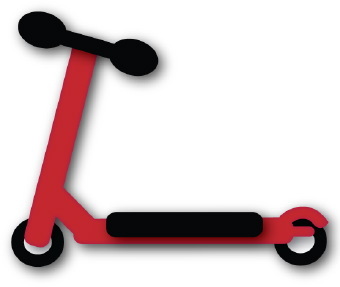 Clip art of a sleek red scooter with black tires and handlebars. 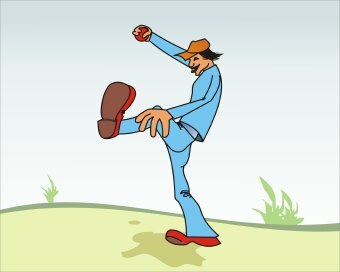 Clip art of a bowler ready to roll his bowling ball. 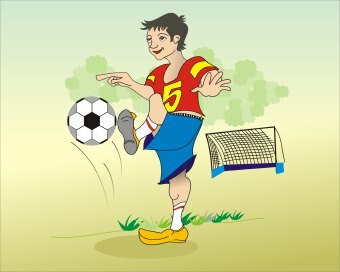 Clip art of a soccer player kicking an English football. 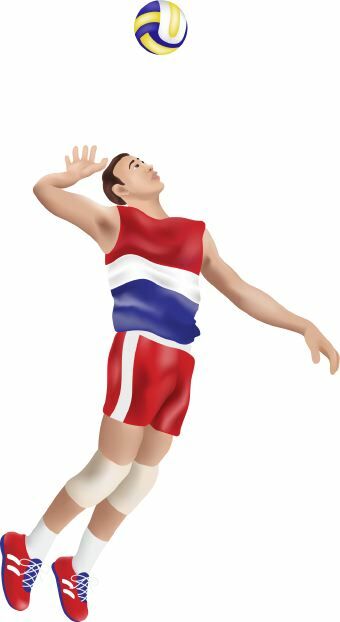 Clip art of a basketball player shooting a basket. 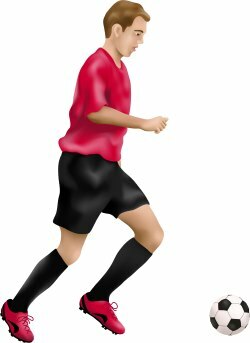 Clip art of a soccer player kicking a ball. 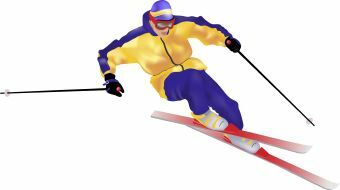 Clip art of a snow skier in downhill or slalom competition. 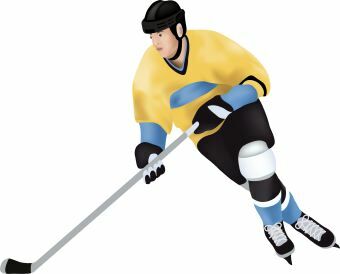 Clip art of hockey player skating with stick. 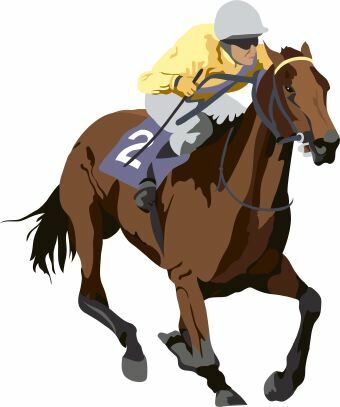 Clip art of racing Thoroughbred horse ridden by jockey in yellow silks. 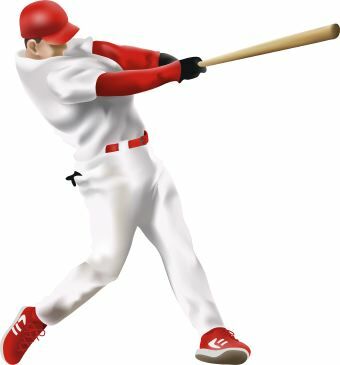 Clip art of a baseball pitcher winding up to throw a baseball. 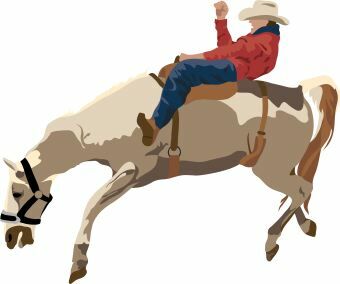 Clip art of a bucking horse with rider at a rodeo. Clip art of baseball player swinging the bat and hitting the ball. Clip art of volleyball player hitting the ball. 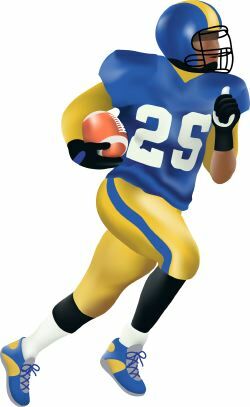 Clip art of football running back carrying a football. 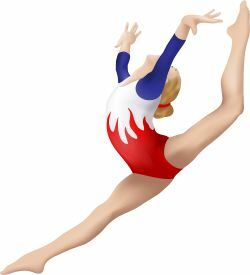 Clip art of female gymnast leaping through the air.